The large foam toothbrush was the hardest to find. I found it at an online store. I had to label the toothbrush as some just didn't get it! 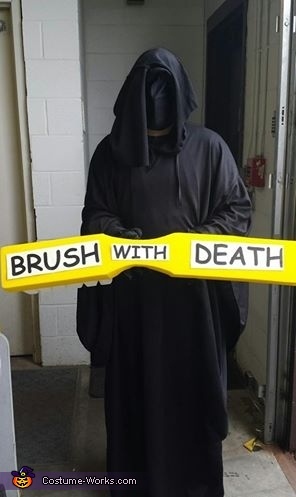 :) The rest is just the Grim Reaper costume.